PublishDrive’s Subscription Pricing Increases Take-Home Royalties for Authors - Learn More in Our Case Study! Before we dive into the data, let’s take a look at how self-published authors earn royalties. Authors who distribute directly to stores can keep all of their royalties after the stores’ fee. The stores usually take around 20-30% of royalties, but this varies. Authors who distribute via self-publishing aggregator services typically pay them 10% of their royalties (Royalty Share pricing), and the stores they distribute to will take their standard 20-30% of the royalties as well. 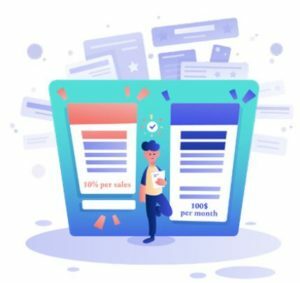 PublishDrive offers a standard Royalty Share pricing option like the one described above, where we charge a fee of 10% of the author’s royalties in exchange for distributing their books to different stores. This is a great no-upfront-cost option for authors selling less than $1,000 monthly. But for authors selling more than $1,000 monthly, the 10% fee on their royalties becomes significant. This is why we introduced Subscription Pricing. It allows authors to keep ALL of their royalties (after the stores’ fee) for a small monthly fee of $100 to PublishDrive. That means an author can sell tens of thousands of dollars per month, and they’ll only have to pay PublishDrive $100 for that month – no matter how high sales go. 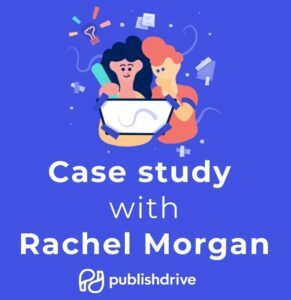 Best-selling author Rachel Morgan was previously using Draft2Digital and PublishDrive to distribute her books, and she was using the traditional Royalty Share pricing. The decision paid off, because in the two-month period after enrolling in Subscription Pricing, Rachel saw an increase of about 16% in take-home royalties. Not a bad way to give yourself a raise, right? Not only that, but by managing most of her ebook distribution and analytics under a single platform, Rachel will spend less time on administrative tasks. We couldn’t agree more, Rachel! 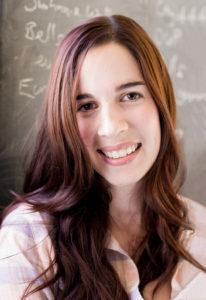 Be sure to download your FREE copy of the case study to read more about Rachel’s experience with Subscription Pricing.